“It is the role of government agencies to consider environmental justice concerns as they affect all groups of people, including communities of color and low-income residents that comprise a significant number of residents in Stockton and throughout the Delta region. Many of those communities are impoverished, according to the report. 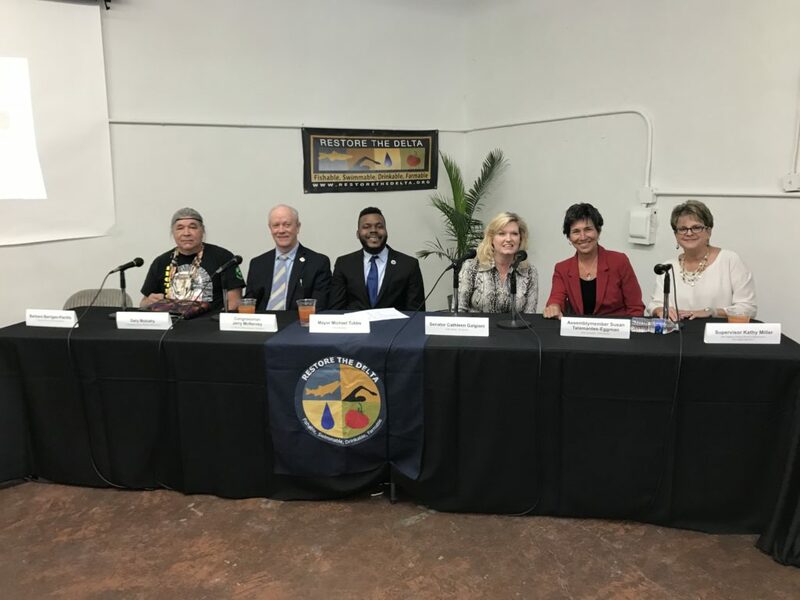 “Assemblymember Susan Eggman, D-Stockton, says the collection of cultures and races largely chose the delta for its clean water and healthy ecosystem. The California native is against the WaterFix and pushed for a 2017 state audit which blasted the state for skyrocketing project costs and poor oversight. “’We would not only be upsetting the environment itself, but we would be upsetting the history of all the people who have made it their home for so long,’ Eggman said of the project’s potential impact Monday. “Stockton’s 28-year-old mayor Michael Tubbs agrees with Eggman and calls the WaterFix a ‘bad deal’ for his city. After filing for municipal bankruptcy in 2012, the Stockton area has posted four straight years of over 3 percent job growth and Tubbs says the future of Stockton’s success depends on protecting delta water quality. “Like the High Speed Rail project, the financing for the Twin Tunnels is illusory. Many of the potential major wholesale customers of water from the Twin Tunnels are highly skeptical of its viability and balk at paying for it. The one exception is the Metropolitan Water District in the greater L.A. area, which has now said it will pay for the full project. Of course, that means its customers will pay. To watch video footage of our press conference click here.